If anyone is paying attention, you'll remember that my last post said I was finally taking on the journey called The Lord of the Rings. And although I did start that journey, I became sidetracked and took on a different quest, a quest through the mist. 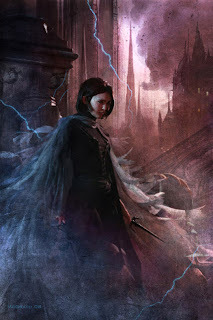 For those who know, you know that Mistborn is a fantastic read. The magic system is terrific and there are so many plot points that are layered and planted and eventually come together that I can't praise Brandon Sanderson enough. From what I've heard, the same can be said for the series. People much more versed in the genre than I am have told me that Mistborn elevated the genre. What all this tells me as a writer is that this stuff takes practice. I was once fortunate enough to take a lunch with Brandon Sanderson, just about the time that Mistborn was released. Elantris had just come out in paperback and he was doing a book signing. I bought Elantris and got it signed--this was before I really knew the brillance that is Brandon. During that lunch, prompted by our questions, he mentioned how he'd received such praise for his "first" novel--Elantris. The reason why his first novel was so superior to debut novels of other writers is because it was not his first. He said he'd written six other novels before Elantris. And that was his point, that writing is a skill and an art that must be practiced like any other. 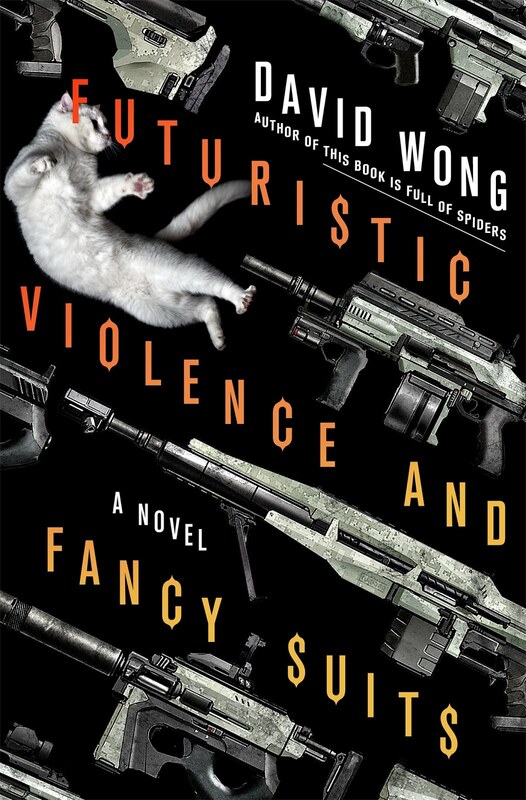 Should you actively promote your first novel and query those agents? Absolutely. Should you be doggedly working on your next novel at the same time--absolutely. When I talk about the demise of the WHO, I'm not talking about the Pinball Wizard, that deaf-dumb-and-blind-kid will never die. What I am talking about is grammar. When I was in high school, I remember coming home from rehearsal and relating a story to my dad--something about someone. I don't remember the story or the event at all, but what did stay with me was when my dad corrected my grammar. I had something akin to, "So-and-so that did something." He stopped me and said, "No, people are whos not thats." What I should have said was, "So-and-so who did something." I hear this particular faux pas daily from co-workers, television anchors, and television shows, and I usually correct it--in my head. "Who" is elegant and appropriate for a person. When ascribing what is reserved for inanimate objects and metaphors to a person "that" is rendered vulgar. Come on people, this was one of our earliest lessons taught to us by none other than the great Dr. Suess. I know I've whiled away many a day in Whoville, but I've never known a That from Thatville. For an interesting look at the phrase "I Couldn't Care Less" and people who do or don't, check out this blog post by Brian A. Klems. I'm a big fan of the Who—and I do mean the Pinball Wizard, Won't Get Fooled Again, Who Are You kind. But I'm also not overly devoted to "who" clauses. It's a popular misconception that "that" can't modify people—but it can. The non-human-antecedent-only rule only applies to "which" (and if we're going by the KJV, not even then!). To quote Wikipedia, "[T]hat is found with both human and non-human antecedents. While some writers recommend reserving that for nonhuman antecedents, this does not reflect majority use. Examples can be found in Shakespeare (the man that hath no music in himself), Mark Twain (The Man that Corrupted Hadleyburg), and Ira Gershwin (The Man that Got Away)." Nobody will fault you for using "who" only, of course—but that ain't no crime ;) . Given that my father is 35+ years a language teacher of both English and French, he holds somewhat of a purist view, of which I've acquired if by no other reason than association. I asked Sanderson at a book signing once about the fact that he had written 13 books before his first one was published. It seemed like a hell of an apprenticeship to me. He suggested writing one book, setting it aside while working on a next, then going back to the first one to revise and edit after the second one is done. That's probably what I'll end up doing. I started reading the Way of Kings but it's hard. Not that it's so hard to understand...it's hard to hold the dang thing up! Sounds like The Way of Kings should be a Nook purchase, reduce the chance of carpel tunnel syndromme. 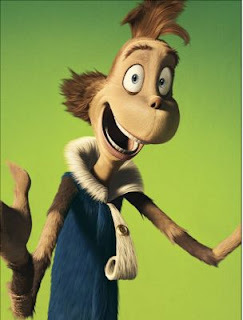 Who's from Whoville. Not That's from Thatville--PERFECT. But I've read Jordan's comment and now I'm confused *rubs head*. The quote: "The only difference between schizophrenics and writers is that schizophrenics take medication to silence the voices in their heads. Writers, on the other hand, write down everything those voices tell them and then try and sell it." It's not mine. I found it somewhere, loved it, but I don't think I have ever found the author.